What a lucky Tomato you have! 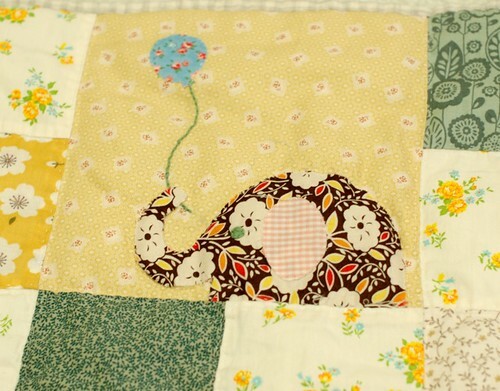 The quilt is stunning, I love all the littlee details, like the snail. 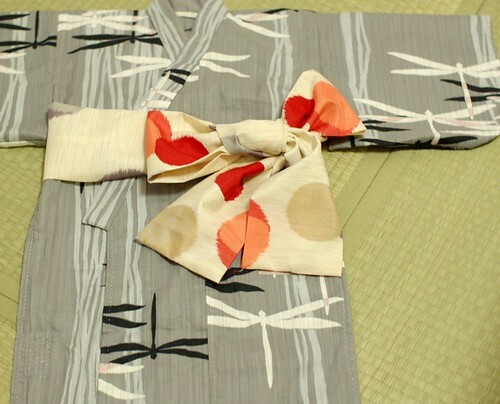 The kimono is also very beautiful. It does seem like a very practical design for a baby, being easy to access for changes etc. It is so obvious that your baby is going to be born into a household filled with love. I have enjoyed reading all of your posts. I can't wait to see a picture of Tomato! I can tell she is already well loved. The kimono and quilt are lovely. I love the simplicity of all your works.. .so serene and sweet! the fabrics for the baby kimono are gorgeous and the quilt filled with all the songs for Tomato is a labor of love. 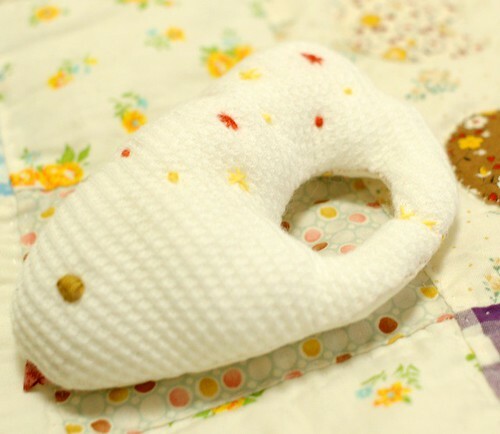 Your baby will cherish all the thing you are sewing for her!! Ahhh don't forget to explain how you will use the diapers, not that I'm going to have a baby, only I'm curious! What beautiful things you're making for baby tomato! Lovely! Oh, every beautiful. She will be a lucky girl! Please have her one day early on my birthday (8/23). My son was born on August 20. You will be so happy to give birth after spending the summer pregnant. 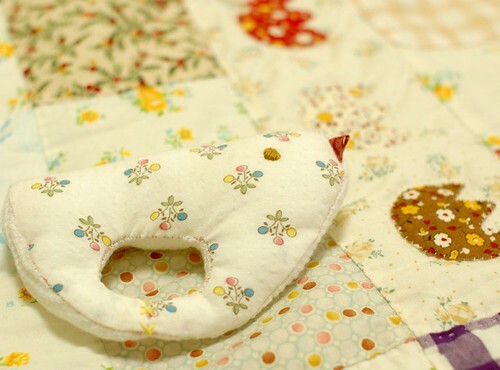 I really like the baby quilt it´s give me an idea to sewing one. Oh wow, I can't believe you made that quilt by hand! It's amazing. You make lovely things for your new baby. I love all the pretty things you are making for Tomato. I bet you are getting excited to see her. all blessings for an easy pregnancy and labor. you make beautiful things with so much love, you're setting an example for me. Wow, I love the colour of that green tea jelly! 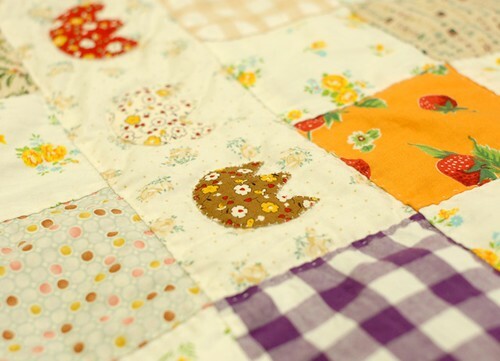 Your quilt is beautiful and it will be lovely when you can wrap your little tomato in it. I'm glad. I have a 21 years daughter, the best I have in this world! I love the kimono! Kisses for you! the sash is a perfect accent! oh, those kicks are the best! enjoy them, you will miss them when the baby's born. this is quite beautiful! you are so talented. So beautiful! I am enchanted looking at the lovely things you are creating. I love all the things for Tomato - especially the quilt. The fabric is gorgeous! The quilt you have made is beautiful. I love quilts. The first quilt I made was for my daughter when I was pregnant with her and now she is pregnant with her first baby. I will be a grandmother in December. I can hardly believe that the time has gone so quickly. Love the Kimono and quilt. Very well done. Your baby is sooo loved. Baby will be here very very soon. All the best to mummy and daddy. Your whole family (and all of us here) will be looking forward to welcome baby into this world. Have a wonderful labour!!! You are sure loving it (when you see your baby!!!) Worth every seconds!!! 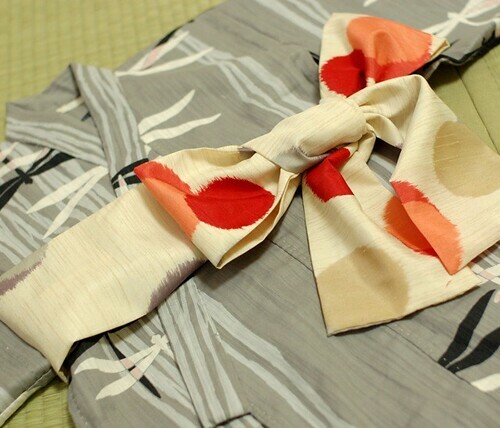 Baby kimono with giant ribbon is awesome. May I ask if juban is needed also for babies? + What I love the most is tulips, tulips, tulips. I love seeing all your nesting items. What a very lucky baby! My next project shall be to fix up that kimono my Grandma made for my Dad and has been passed down to my son. He is tall enough now that I think he shall wear it to my brother's wedding in Oct. I just came across your blog and found out about your craftworks. Everything is very cute. The pictures came out great. & that baby wear is just... too cute! 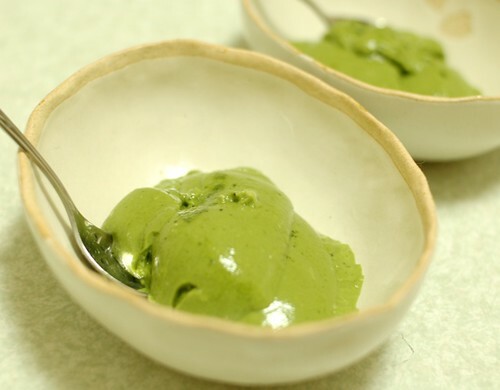 Green tea jelly sounds wonderful! The quilt is amazing,I wish I knew how to applique,I never know whether to turn under the edges or not! Your tomato is so lucky to have such a clever mummy! Just so amazing things you make! Little Tomato is a lucky Tomato! 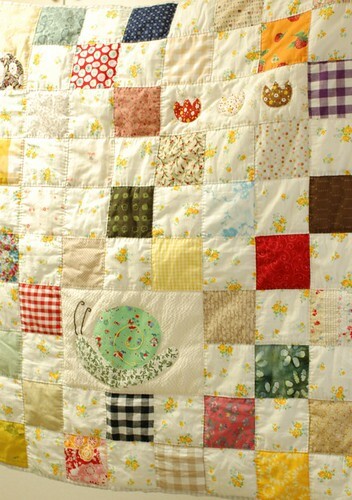 Such a cute quilt and just so much hand sewing is incredible. And that Kimono is so beautiful! Konichiwa Mai chan!! !I'm Alisha and I'm fashion design student from India.I'm not a blogger but i love visiting creative blogs! Last year I came across your blog and since then I visit it every week! I love each every piece of your work and whenever i see it i feel good!! !It's good to know there are people who still enjoy doing things the simple way. Little Tomato is so lucky to have such loving parents.I wish you all the luck and happiness in the world^_^!! !Keep up the amazingly good work and all the best with Tomato!!! So lovely to hear that little tomato is likely a female!!!! I adore your beautiful quilt. It is just lovely with all those little stiches and the appliquéd details. All your work is so beautifully and lovingly done. I love that you sang songs while you quilted. Lucky little Tomato! Tomato's quilt and kimono are so lovely. 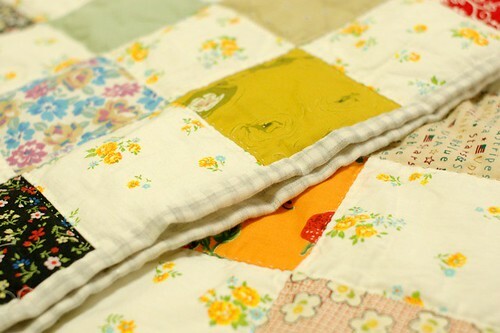 I'm almost inspired to try hand quilting. Your handywork is just beautiful, delicate and amazing. I enjoy your blog, cannot remember how I found it but I am glad I did. Cheers! and all the best for the last weeks of your pregnancy! Beautiful, beautiful baby quilt. Thank you for sharing your lovely creations. Your photos are wonderful. Thank you for lovely outdoor shots. And, you singing while hand stitching. What a fortunate baby already. She's gonna snuggle under that quilt and already know those songs from now. thank you for your teaching. of sewing and of life well lived. I came across your blog and saw the beautiful sewing you do. Especially the kimono for your Tomato, it's so lovely. I want to make my two-year old a kimono now. Also Im trying to make a michiyuki jacket. Please keep up the good work and congratulations on your baby. My name is Cristina, i am Portuguese and pregnant of a baby boy, now 5 months!I would love to have the pattern of the kimono.Can you send it to me please? wow!! you're really amazing. Sewn all those by hand. How the taste of jelly green tea? I love your creations. It seems fresh and new. My daughter and I always enjoy reading your blog as well as admiring your cerations. They are so original and fantastic. My daughter, who is only 11, has tried a lot of cute stuff that you made, she is in love with all of them. Thank you for giving us inspiration to be creative...we love you and hope that you will continue sharing with us your creative skills.